3. 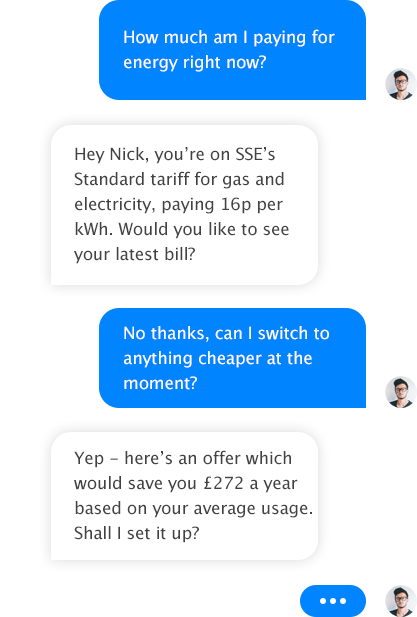 Stay on the cheapest tariff forever! We work directly with the best suppliers, across a wide range of industries, to ensure get you the best deal and save the most money. BillBuddy is always available to ensure you never pay more. Switching energy can be a hassle… not with BillBuddy. Overpaying for gas and electricity isn’t something you need to worry about anymore - let BillBuddy take care of it for you! We just need your postcode!